The Bengals are doing it on both sides of the ball, and one quarter into the 2015 season they look like a team on a mission. Sunday at Paul Brown Stadium their offense was in sync with their defense as they lowered the boom on the Kansas City Chiefs with a 36-21 win. The now 4-0 Bengals matched the third-best start in franchise history, two wins shy of the club record. 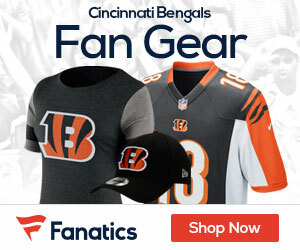 Andy Dalton sparked the Bengals offense with another big day, going 17-for-24 for 321 yards and a long TD to wide out Brandon Tate. 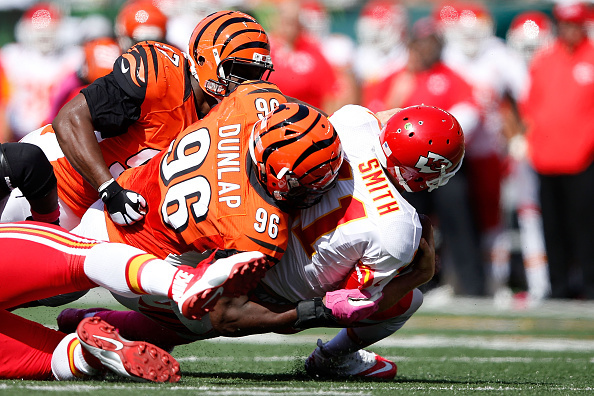 The Bengals D did the job against Chiefs QB Alex Smith and the KC offensive line. They got to Smith five times, and it didn’t seem like a big deal that the Chiefs got a club-record seven field goals from Cairo Santos. “It feels good, man, to win at home and still be undefeated, but it’s still a long season,” Vincent Rey said. ”We knew with Alex Smith, he kind of panics like any quarterback when he gets pressure in his face,” said tackle Domata Peko. The Bengals got a solid day on the ground from their two top running backs, Gio Bernard (62 yards) and Jeremy Hill (40 yards 3 touchdowns). The team seems to be doing it on both offense and defense, something we’ve not seen in quite some time. “I can say this is the first time in a long time that the offense and defense are clicking,” Rey Maualuga said.